Make a fashion statement at your next special occasion wearing Johnathan Kayne Style 8246. 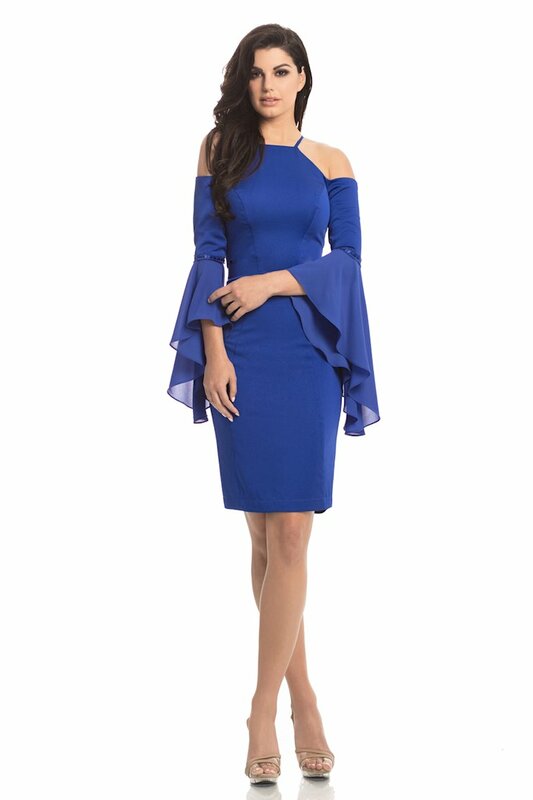 This dress features a halter top with a fitted bodice with open shoulders and flowy bell sleeves. 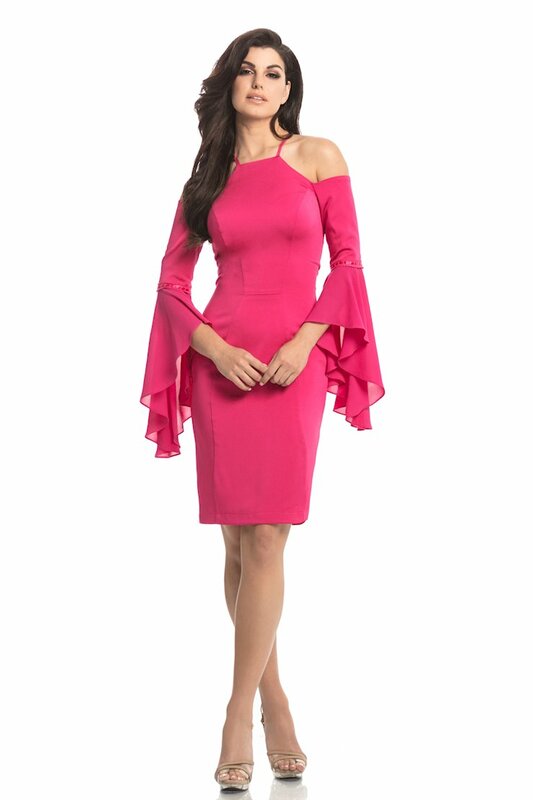 Johnathan Kayne Style 8246 is available in Fuchsia, Navy and Royal.